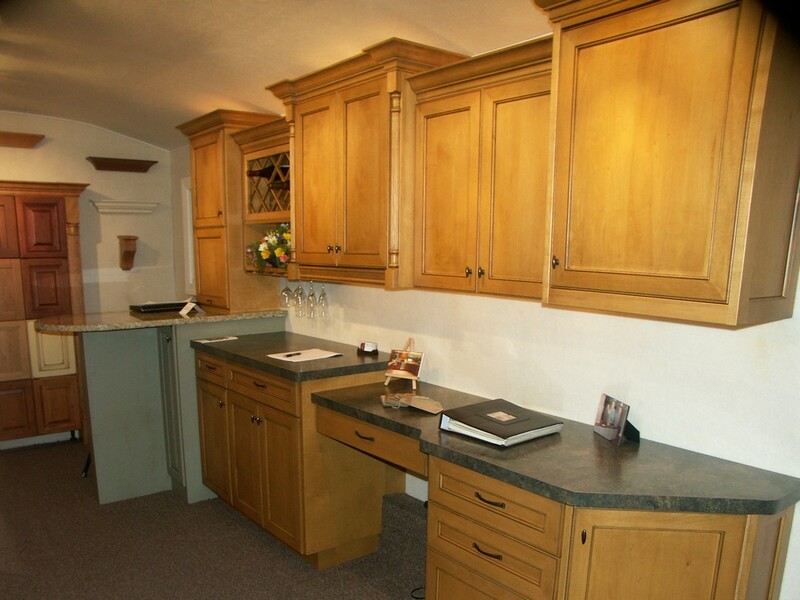 Do you have difficulty finding time in your busy schedule to go to a cabinetry showroom? 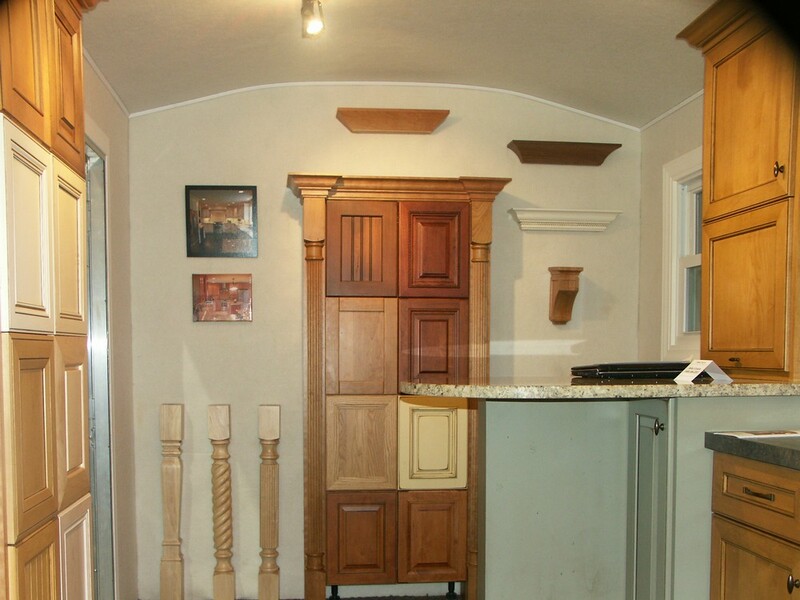 That is why we designed and built a mobile design center. Now we can bring the showroom to you! 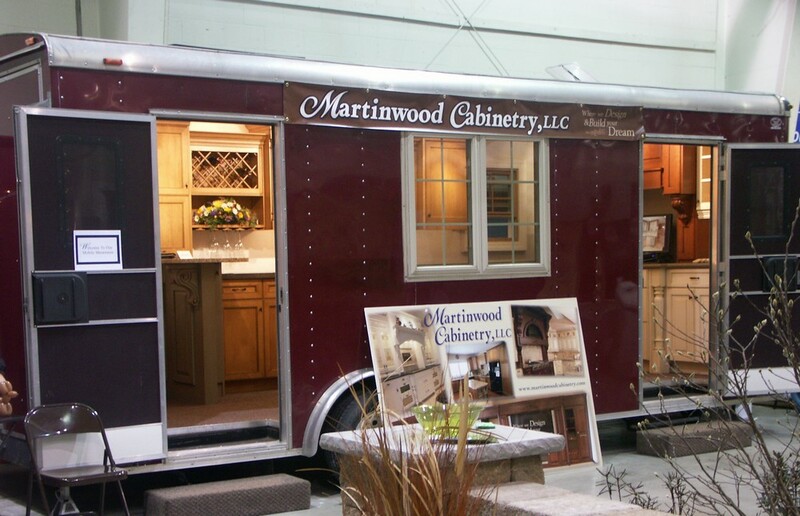 The front side of the trailer as seen at the La Crosse Home and Garden show. 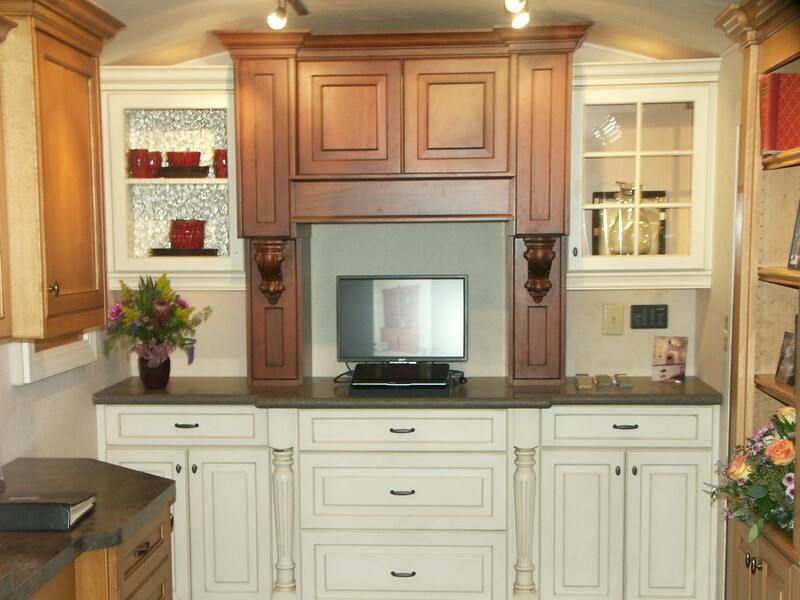 These maple cabinets showcase a lot of options. 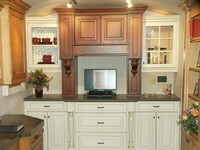 A cherry hood, and crystal white/glazed cabinets at the front. 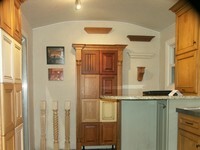 Sample doors at the back. 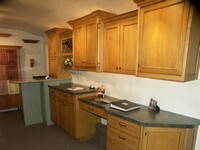 The peninsula is where we can sit down and design your dream! Contact us to schedule a time we can bring the trailer your way!